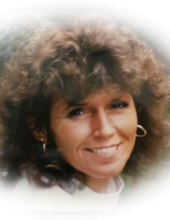 Linda Diane Clines 64, of Ardmore,TN died Saturday, February 2, 2019 at Huntsville Hospital, Huntsville, Alabama. Born Tuesday, August 3, 1954 in Fayetteville, TN, she was the daughter of Gene Johnson and Doris Johnson. Linda was a member of First Baptist Chruch of Ardmore. She loved going to her grandsons' ballgames, gardening and flowers, and going to the beach. She was preceded in death by her parents and sister, Debbie Johnson. She is survived by husband, Oren Lee Clines, Jr., Ardmore, TN; son, Toby (Leslie) Clines, Guntersville, AL; daughter, Kristy (Heath) Hogan, Ardmore, AL; step - daughter, Carmon Amburgey, Cape Coral, FL; brothers, Steve Johnson, Ardmore, TN and Randy (Kay) Johnson, Petersburg, TN; grandsons, Noah Clines, Aidan Clines, Jason Hogan and Luke Hogan; step grandchild, Haley Amburgey. A Public Visitation will be held on Tuesday, February 5, 2019 at Ardmore Chapel Funeral Home, Ardmore, Alabama from 4:00 PM until 6:00 PM. A Memorial Service will follow on Tuesday, February 5, 2019 at Ardmore Chapel Funeral Home at 6:00 PM with Bro. Alan Hughes officiating. In lieu of flowers please make donations to St. Jude Children's Hospital, Memphis, TN. To send flowers or a remembrance gift to the family of Linda Diane Clines, please visit our Tribute Store. "Email Address" would like to share the life celebration of Linda Diane Clines. Click on the "link" to go to share a favorite memory or leave a condolence message for the family.